Floss, floss, floss. Yes, it’s a pain to floss around your braces, but it's the best way to prevent gum disease and other oral health problems. Ask Dr. Groisser and our staff for floss threaders to make the chore easier. Just a few minutes per day will ensure that you don’t face significant dental health issues when the braces come off. It's not necessary to be an activist or install solar panels all over your home to help the environment. Although you can do these things, the little everyday measures make a big difference in helping to conserve energy and the environment, while reducing your carbon footprint. 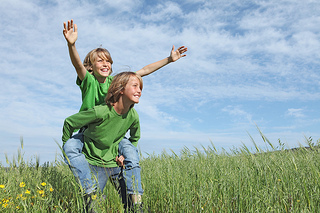 Our team at Village Orthodontics wants to remind you to celebrate Earth Day and help the environment, knowing that it will benefit your and your children's generation. The team at Village Orthodontics loves to help adults achieve straighter teeth and a beautiful smile. If you are considering getting braces, here are some things you’ll need to know. Schedule a consultation with Dr. Groisser, and we can help you determine the best option for your needs. During your first meeting with Dr. Groisser, we’ll take some X-rays and molds of your teeth to help you determine your best treatment plan. To ensure your treatment is as effective as possible, we may include preliminary dental work before your braces are placed. After you’ve chosen a treatment plan and undergone any necessary prerequisite dental work, you’ll be on your way to a better smile! Call our Clarksburg, Gaithersburg, and Hagerstown location so you can get started today! It's springtime and it's again time to remind our patients at Village Orthodontics to protect their faces and pearly whites while out on the field playing sports. According to the National Youth Sports Safety Foundation, children, high-school athletes and adults have more than 5,000,000 teeth knocked out in sporting events annually. Having a mouthguard can make the difference between losing your teeth or not, and because many of our patients who play high school sports have jaws that are still growing, last year’s mouthguard may no longer fit as it should. Dr. Groisser and our team at Village Orthodontics can fit you for a new guard. 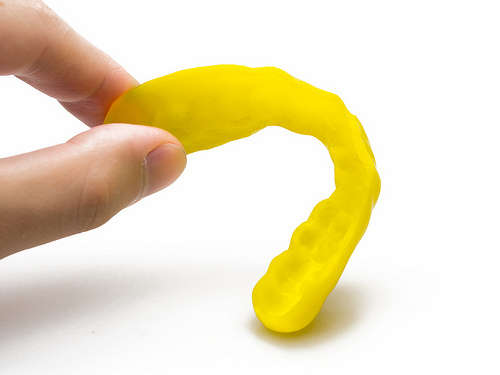 To learn more about mouthguards or for general questions about your treatment at our Clarksburg, Gaithersburg, and Hagerstown office, please give us a call!